There is a new project on the progressive scene, called AEON ZEN. 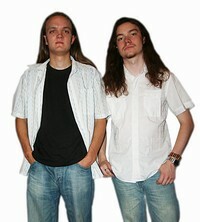 The cast of the vocalists on their debut album - A mind's Portrait is impressive. I asked a few questions to band's founder member - Richard Hinks. What was the beginning of Aeon Zen? 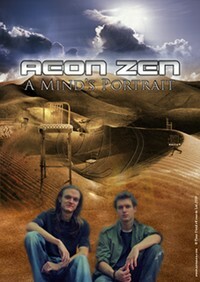 Aeon Zen was founded by myself (Rich Hinks) and Lloyd Musto in June of 2008. When did you decide to create your own band? After leaving the band Timefall or maybe the intention to create your own band was the reason why you left Timefall? Our band at the time, Timefall, was having difficulties deciding on a future for itself and eventually I just thought how much easier it would be to organize the whole musical process if it could be controlled with as few people as possible. So that is how I ended up playing the guitars, bass and keyboards, as well as some vocals on the album A Mind’s Portrait. And I am now working on getting together a live band for Aeon Zen. What does Aeon Zen mean? Why did you choose such a name for a band? I wanted a band name that is memorable, as well as perfectly describing what the music we produce sounds like, and I think this band name does that. Myself and Lloyd were going through ideas for band names around mid June of 2008 when I came up with the suggestion of using the word Aeon. I thought was particularly appropriate, as the word Aeon means an infinite amount of time, due to the fact that many of our lyrical themes incorporate time in some way (as well as many of our songs being quite long! (Laughs)). We felt the word Zen compliments this nicely, creating an eternal state of bliss and enlightenment, which I hope our music is able to achieve to some extent! Did you intend to create a project with guest appearances from the very beginning? Or maybe you wanted to create a regular band? Yes it was the intention from the beginning to produce an album with guest vocalists. As far as the instrumental side of the band goes, I always intended to play all the instruments (minus drums) myself, so it wasn’t ever going to be a “regular” band in that sense. At the time, I wanted to create something different to anything I had done before and I also wanted to achieve an effect with the album that was truly breathtaking and had enough quality material to stand up on its own to be noticed, which I think it has done. The fact that these incredible singers and guest musicians wanted to get involved and be a part of the project was flattering for me and I think it really helps the album go that one step higher. This definitely isn’t a typical album, that’s for sure! How much time did it take you to compose material for this album? 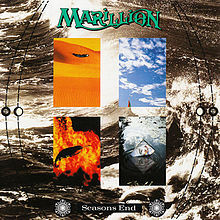 Several of the songs have their origins with one of our (Rich and Lloyd) previous bands, for example, the song Demise of the Fifth Sun, which is the epic 12 minute, full out prog metal closer of the album, dates back to mid 2006 which would have made me 17 when I wrote it… Wow, I didn’t realize it was that long ago! (Laughs) But there were seven tracks composed completely from scratch for this album. It is difficult to put a time frame on it, as we wrote and recorded simultaneously, but I would say the album took about four months in total to write and record (including some alterations to the older material that was used). The way the writing process usually works is that I will come up with the majority of a song, then myself and Lloyd will sit down and go through the arrangement of it to see what works best, but it varies from track to track. For example, in the case of the song Existence, I wrote it completely in a few hours and that was the finished track, and then there are others, such as Heavens Falling, that took a little longer and a bit more back and forth between the two of us to work out the best arrangement. How did it happen that you invited so many guests? I contacted many singers to be a part of the album and I was lucky enough to have four incredible talents that were interested in working with us, Elyes Bouchoucha of Myrath, Andi Kravljaca of Silent Call (ex-Seventh Wonder), Andreas Novak of Mind’s Eye and Nils K. Rue of Pagan’s Mind and Eidolon. The general consensus of these guests was that they would only be happy to contribute their voices as long as they liked the music and lyrics that we had written for them to sing on. And of course we also had two other musicians, Matt Shepherd of Timefall and Cristian Van Schuerbeck of All Too Human, contributing guitar and keyboard solos respectively, to the album, which was another added bonus. It snowballed and in the end we had more guests wishing to appear on the album than we had space for! Some time ago Mattias Noren stated that he had given up doing cover artworks. How did you convince him to create cover artwork for Mind's Portrait? I have been a fan of Mattias’ work for many years now, and I couldn’t think of a better person to do the artwork for A Mind’s Portrait. I contacted him with the hopes that he might be able to help us with the artwork, as it is definitely no ordinary album. He came back to me saying that he really enjoyed what he had heard, and because of that, he agreed to let us use his material. So again, it is great to have another amazing talent being a part of this album. Why did you decide to release the album via new label? Did you try to get the contract with any major record company? As I had put together a studio album, there was no commercial band to tour, which limits the marketability for a mainstream label. Everything regarding the band before signing a record contract had been managed internally by myself, so it made sense to keep that trend going. In addition, I was mindful of ensuring that all the legal and business sides were correct. So with this in mind, a new company, Time Divide Records, was created to release the material. It makes it easy for a larger label to take us on in the future too, should there be mutual desire. Are you going to play live to promote Mind's Portrait? If so, do you intend to invite on stage one, or more vocalists? Or maybe AEON ZEN is a studio project? I can say that Aeon Zen will definitely be playing live. I am currently working and rehearsing with a live band consisting of musicians in the UK. The plan is to use one lead vocalist, alongside two guitarists and a keyboard player, as well as myself on bass and Lloyd on drums. Right now, I can confirm that guitarist Reece Fullwood (Eumeria, solo artist) will be a part of the Aeon Zen live band, and it is great to have an amazing player like him on board. So there is even more talent in the Aeon Zen ranks! It is sounding fantastic so far, so I can assure you that we will definitely be one to watch once we get out there playing shows! I am in regular touch with all of the guests on the album and hopefully our paths will cross live. What are your plans regarding promotion of the album? There have been lots of great reviews, with many reviewers giving full marks (which you can see on our website: http://www.aeonzen.com/) and the response to the album has been fantastic so far, so that is a great delight for me. There are some more reviews coming out in several magazines in the coming months as well. We are also currently getting radio play from many internet radio stations and I am looking into options of expanding this to AM/FM radio worldwide. Do you have your favourite tracks on the album? It’s hard to say, it does change fairly regularly, but I think I would have to say either Existence (partly due to how well it came together in the writing process and also because of Andi Kravljaca’s incredible vocals on it) or The Demise of the Fifth Sun. But I do love them all in different ways for their different styles and feels. What are your expectations? Do you think A Mind's Portrait is going to be a success? Well obviously that is my goal, to have as many people listen to, buy and enjoy my music as possible. As with any project, there has to be a starting point and I don’t think we could have asked for a better one than this. The awareness of Aeon Zen is increasing, and with the live band even more so, as more people discover the many different facets, strengths and the quality that is in A Mind’s Portrait. 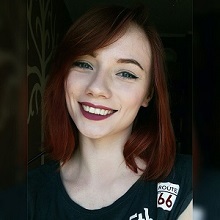 What are your future plans? Are you going to record another album with guests? Thanks for your time and I wish you luck. I hope Mind's Portrait will get its fans also in Poland. I hope so too, and thank you.